Durability is a feature of Dylan Thomas’s progeny and few horses exemplify that better than Caspian Prince (8h Dylan Thomas-Crystal Gaze, by Rainbow Quest), who notched up his 17th victory at the Curragh on Saturday. The fabulous eight-year-old, bred by Ballygallon Stud, battled off G1 winner Marsha to take the G2 Sapphire Stakes under Declan McDonogh and connections were understandably full of praise for the winner. “I didn't expect to come and beat Marsha today. 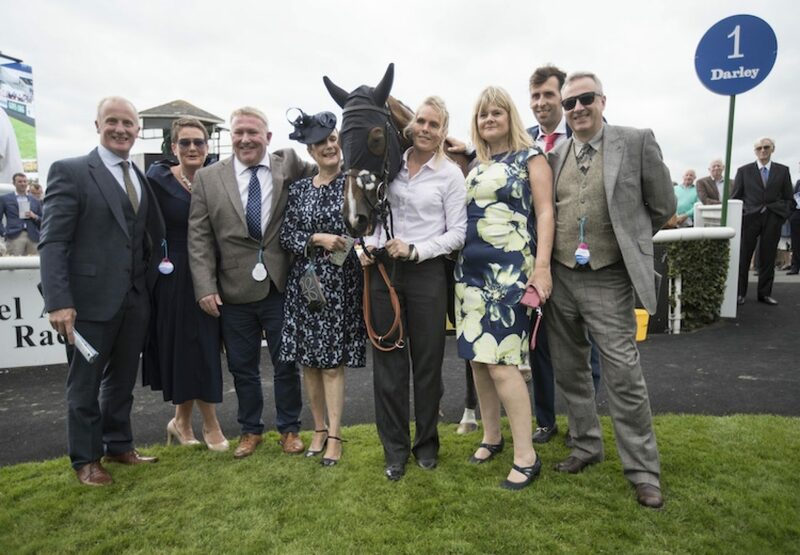 She's good and we knew we were in with a chance but to actually achieve it and get a Group race under his belt, brilliant!,” said owner Stephen Louch. "He is a star and it's fantastic. We picked him up in the sale at Deauville. From that day forward we have just fallen in love with him and won't let him go. We want to see him finish his career, hopefully with a few more nice wins."